TORONTO (AP) — For the first time in decades, one of the world's most durable and amicable alliances faces serious strain as Canadians — widely seen as some of the nicest, politest people on Earth — absorb Donald Trump's insults against their prime minister and attacks on their country's trade policies. Some Canadians are urging Prime Minister Justin Trudeau to seek peace with the U.S. president. Many others want him to hang tough even as Trump seeks to make political hay with his anti-Canada rhetoric. But there's broad agreement with this assessment by The Globe and Mail, a leading Canadian newspaper: "Relations between two of the world's closest allies are now at a perilous low." 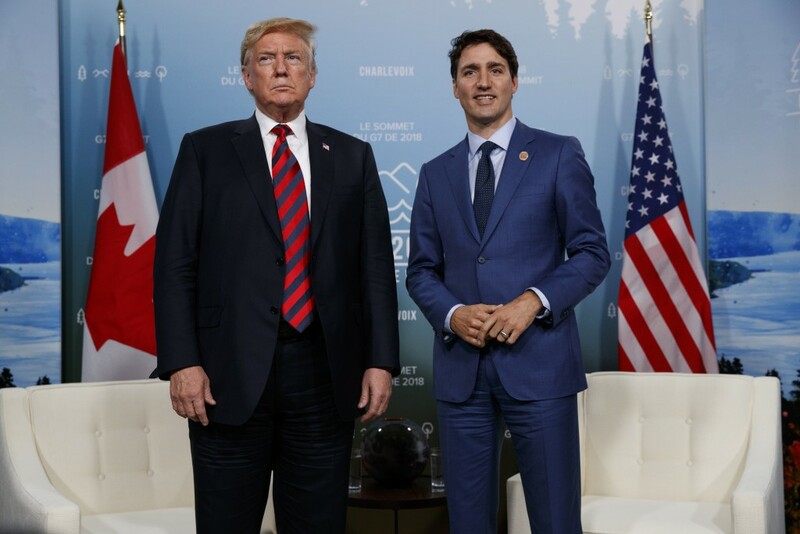 The spark for the confrontation: Not only did Trump suggest new tariffs against Canada are justified on grounds of national security, but he and top aides assailed Trudeau as a "weak" and dishonest" back-stabber who deserves a place in hell. For Canadians — who don't totally reject their stereotyped image as self-effacing and nice — the eruption seemed completely at odds with their own national temperament. Anne Marie Goetz, a Canadian who teachers global affairs at New York University, said she hopes her compatriots will show "maturity and forbearance" amid the tensions. "But as these kinds of absurd statements and rude outbursts pile up, antagonism and resentment might too, which would be terribly unfortunate and even surreal for two of the best neighbors on the planet," Goetz said. Resentment already is palpable. A popular Alberta-based travel and culture blogger, Mike Morrison, said he and his wife have canceled a trip to the U.S. next month. In Halton Hills, a Toronto suburb, the City Council unanimously passed a motion Monday encouraging its residents and businesses, with typical Canadian politesse, to consider avoiding U.S. goods "where Canadian substitutes are reasonably available." "Trump is like a bad houseguest. He showed up late, left early and insulted the host," said Mayor Rick Bonnette. "When you have a bully like Trump, you can't just keep taking it and taking it." The ties between the two countries are without parallel anywhere in the world. Trade between the U.S. and Canada totaled an estimated $673.9 billion in 2017, with a surplus of $8.4 billion for the United States. 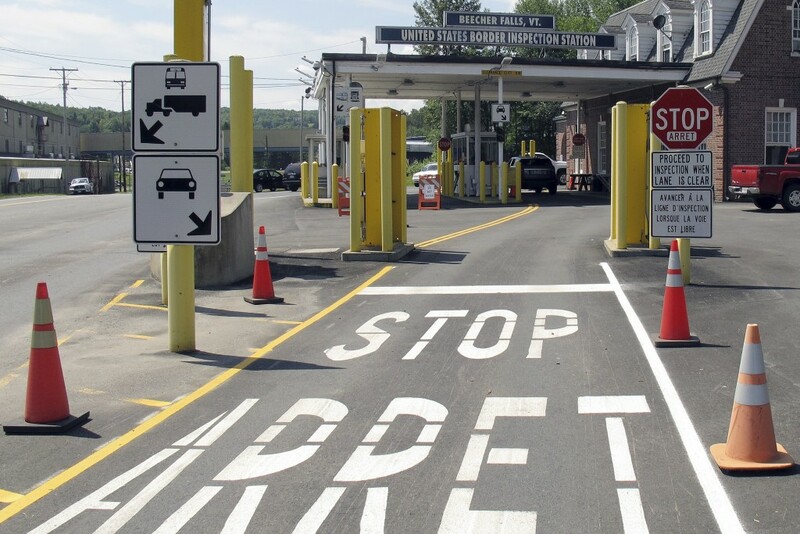 Each day, about 400,000 people cross the world's longest international border. There is close cooperation on defense, border security and law enforcement, and a vast overlap in culture, traditions and pastimes. As with most intimate relationships, there have been rough spots. Limited trade wars over lumber, pulp and paper, and other products have flared on and off for decades. 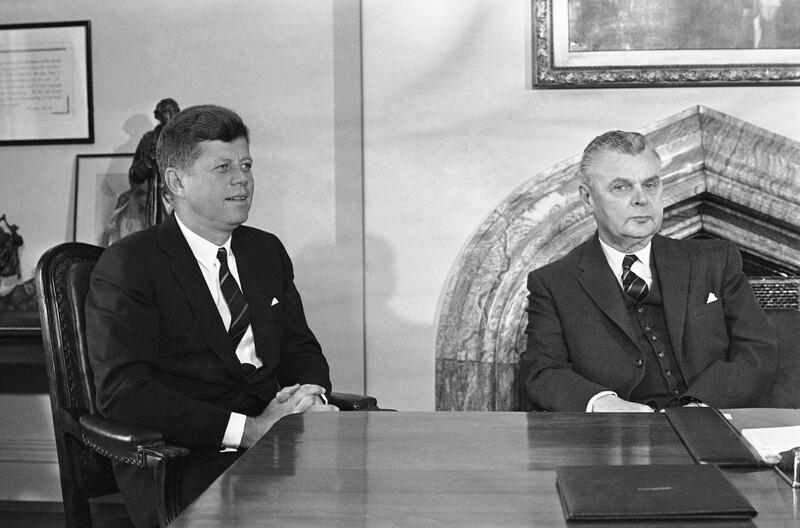 In the early 1960s, there was a bitter rift because of personal enmity between President John F. Kennedy and Prime Minister John Diefenbaker, who balked at U.S. pressure to be more aggressive in Cold War maneuverings. Later, the Vietnam War caused some divisions, as Canadians — including Justin Trudeau's father, then-Prime Minister Pierre Elliot Trudeau — welcomed American draft evaders who crossed the border. And some Canadians, notably the Ontario intelligentsia, tend to regard Americans as more crass and gun-happy than people north of the border. "In general, Canadians have looked at us as a large, powerful, unruly but basically good child — a big animal that they don't have to worry about but does stupid things now and then," said Stephen Blank, an American academic who has taught at universities on both sides of the border. The flare-up came as the recent G-7 summit in Quebec concluded. While Trump headed to his meeting with North Korea's leader, Trudeau told reporters that Canada would retaliate against new U.S. tariffs it viewed as unfair. Trump was furious, pulling the U.S. out of the G-7 joint communique and calling Trudeau "dishonest" and "weak." "There's a special place in hell for any foreign leader that engages in bad faith diplomacy with President Donald J. Trump and then tries to stab him in the back on the way out the door," said Trump trade adviser Peter Navarro. Across their political spectrum, Canadians were outraged. Trudeau, who has embraced many left-of-center policies on behalf of his Liberal Party, has received strong support from his normally hostile conservative rivals. Jason Kenney, leader of Alberta's United Conservative Party, said he was stunned that Trump would attack the prime minister while getting chummy with North Korea's Kim Jong Un. "It is increasingly bizarre to see an administration heaping praise on a totalitarian dictator while using unprecedented language to condemn the elected head of government of the United States' closest ally," Kenney said. David Frum, a Canadian-American political commentator, said the tiff would only boost Trudeau's stature among Canadians. "Trump's revenge-tweets from Air Force One back at his Canadian hosts probably did not lose him any friends in Canada, for the basic arithmetic reasons that a few alt-right YouTubers aside, he had no friends in Canada left to lose," Frum wrote in The Atlantic. However, Lawrence Martin, a columnist with The Globe and Mail, suggested Trudeau's defiance might be harmful to Canada and advised him to seek conciliatory talks with Trump rather than risk further trade reprisals. "The big dog has all the advantages," Martin wrote. "While only 16 percent of U.S. exports go to Canada, 72 percent of Canada's go south." Bruce Heyman, former U.S. ambassador to Canada, said he believes the Trump administration is determined to withdraw from the North American Free Trade Agreement and has created "an anti-Canadian narrative" that will help him when he pulls the plug. An ensuing trade war will be painful to Canada, but ultimately beneficial, Heyman said: "It will force Canada to diversify." Some Americans have rejected Trump's vitriol, using the hashtag #ThanksCanada on Twitter to highlight positive things that Canada has done. The Globe and Mail said it received dozens of letters from Americans, many of them dismayed by the president's behavior. "We in America very much need your nation's good character and clear-eyed sense of mission as a reminder about what truly makes America great," wrote Tom Gerson of Old Saybrook, Connecticut. "I know we as your friends to the south can count on Canada for this inspiration and so much more — now and always."